ECHO through to preliminary finals! 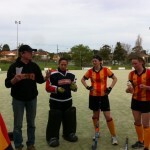 On Saturday the ECHO Women’s team had a spectacular win in the elimination final, defeating Footscray 7-2. Prior to this game, the girls had beaten every team in the competition except for Footscray. 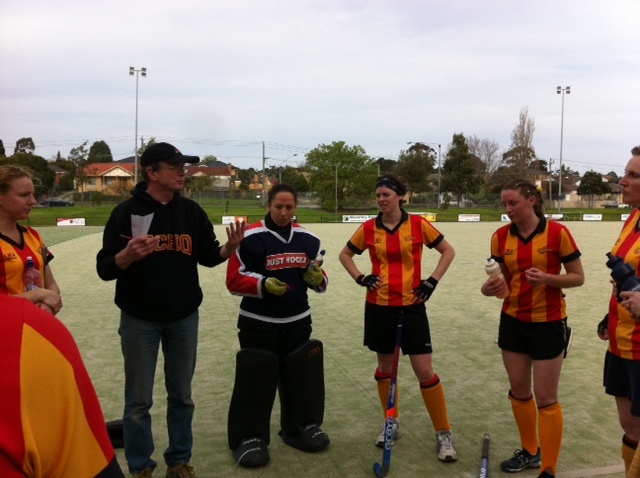 Despite this, the team got off to a great start, dominating Footscray with some of their best team hockey yet. The fluid ball movement started to drop a little as the girls tired towards the end of the first half but they came out strongly again after half time, keeping the Footscray defence busy. Kristen Toohey scored a hatrick, an impressive feat considering this is just her first season of hockey. Other goal scorers included Elaine Chan, Bonnie Miller, Leah Arnold and Jo Hare. The girls play for a spot in the GF next Saturday against Mentone (time TBA). Please come down and show your support. Also, ECHO’s favourite juniours had their last game on the weekend, going down to Kew B. Well done to the players, coach Ben and manager Em for a good season and for kick starting the club’s juniours program. All the players have improved considerably over the season and we look forward to seeing ECHO’s juniours developing further into the future. ← Women through to finals!